Win a FREE slot to our September Masterclass! 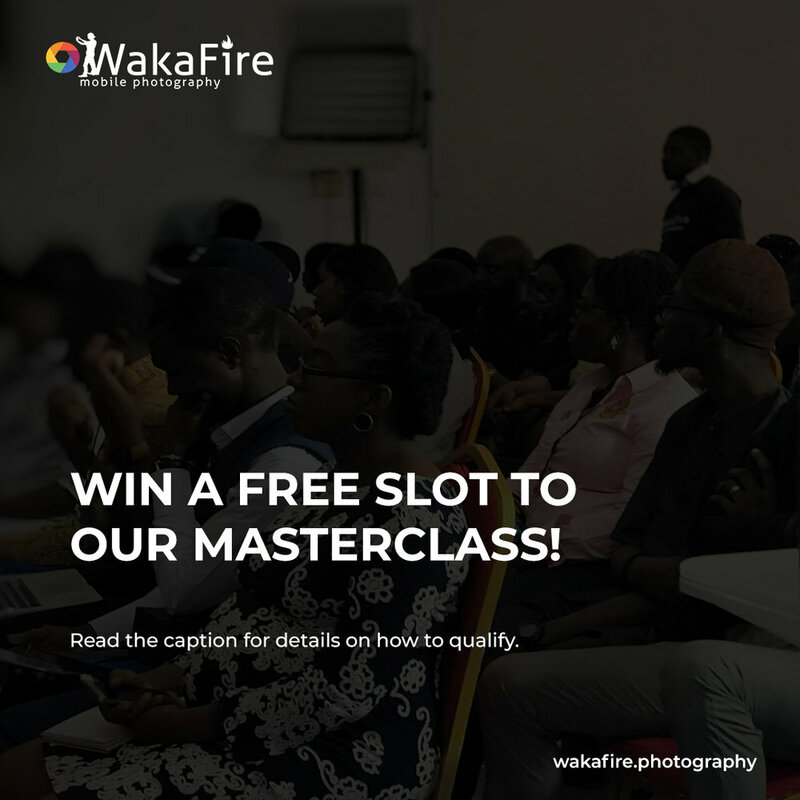 We are giving out one free slot to our September masterclass. 2. Post a picture you first took with your phone whether good or bad 😁😁, state the name of the phone used and tag @wakafire.photography on Instagram or Twitter. 3. Write why you think that you need this slot. 4. Tag a friend who will be interested in this offer. Deadline is 20th September, 2018. Ensure you are Following @wakafire.photography though!